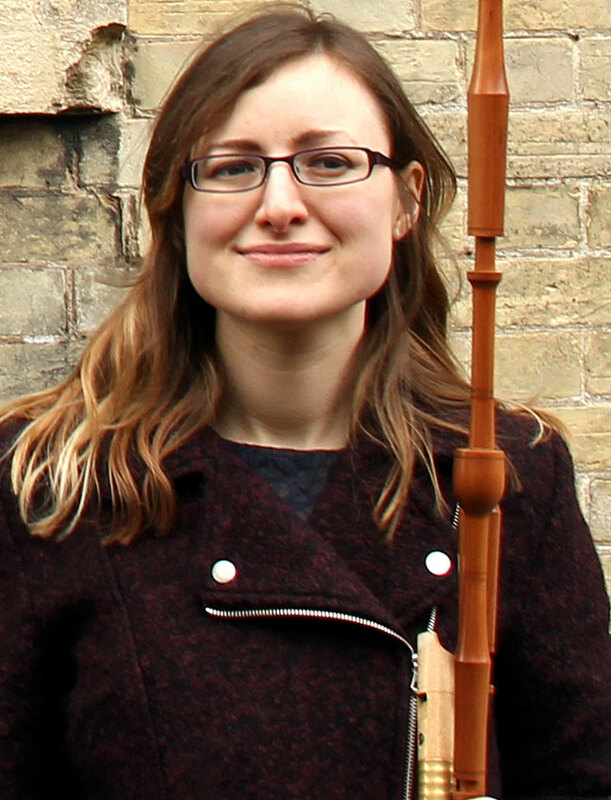 Emily Askew is an extremely versatile musician playing fiddle, recorders, vielle (medieval fiddle), bagpipes and shawm. Her interests are wide and varied reaching from the deep roots of folk music through to Medieval, Baroque and contemporary repertoire. As a member of the Askew Sisters, she has twice been a BBC Young Folk Award semi-finalist and in 2005 won the New Roots competition. The sisters have released and EP and three albums (winning the Spiral Earth Award for Best Trad Album 2015) and have been playing at festivals and clubs to great acclaim over the last eleven years. Emily also performs with fiddle band Alma and runs the A3 Ceilidh Band and Ceilidh Factor. Emily studied early music at the Guildhall School of Music and Drama, and graduated with a first class honours BMus. She received the Dove Memorial Prize for the highest BMUS mark in her year. A keen chamber musician, Emily also performs with a range of early music ensembles. These include Medieval and Renaissance groups The Artisans, Joglaresa and The Dufay Collective. Emily is also interested in opera and theatre. She has performed as principal recorder at Glyndebourne and as a multi-instrumentalist in productions for Apollo West End, Shakespeare's Globe Theatre, the Sam Wanamaker Playhouse and the Hampstead Players. She also enjoys collaborations between different art forms and has done a number of shows with Contemporary Dance choreographer Darren Ellis.